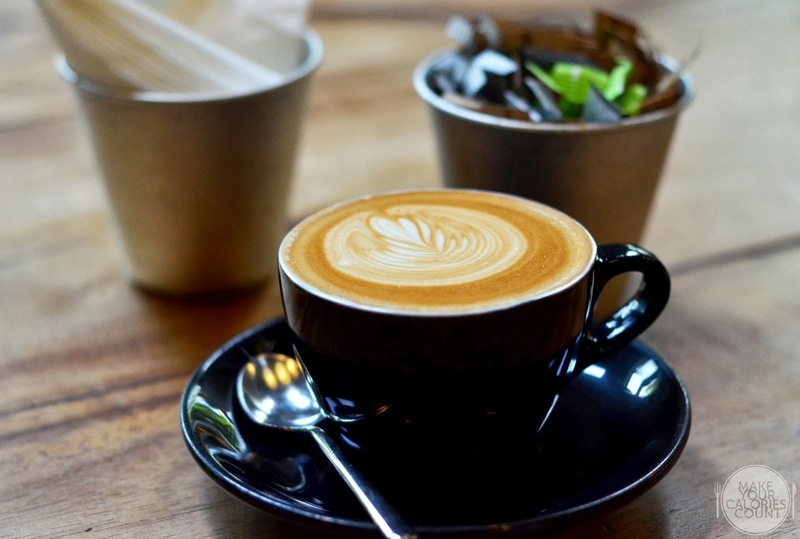 It is no trade secret that the cafe scene is extremely vibrant in Singapore but quite frankly, after trying quite a handful of popular places, we have yet to discover 'THE' cafe that is able to deliver a relaxing experience complete with calories-worthy coffee and food. 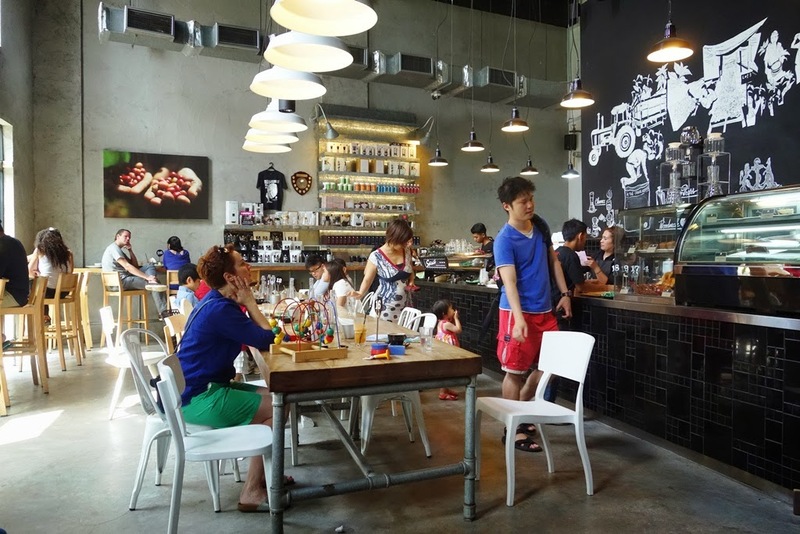 What exactly does one look for when it comes to seeking a cafe experience? 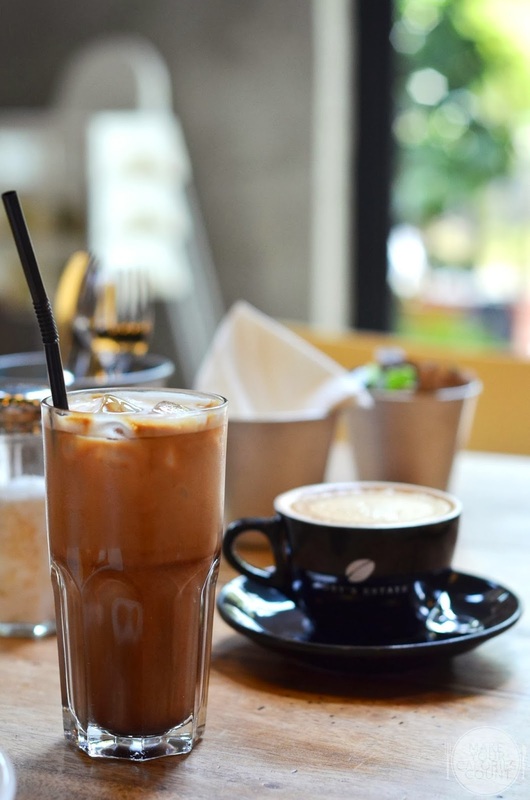 Personally, we feel that the slightly better cafes in Singapore tend to be overcrowded and that kinda defeats the purpose of unwinding down after a hard week at work. Why would I want to face further pressure from waiting diners to free up my table when it was supposedly the place to go to chill? Apart from the crowd, I have always been sceptical about paying some good S$20 for a plate of all-day breakfast which you could pretty much cook it yourself at less than half the price. Does it really make sense? Toby's Estate was named after the owner, Toby Smith. Driven by passion, Toby accumulated his knowledge and skills from his coffee trail around the world including working on farms in Brazil learning to nurture the coffee plant from seed to harvest, as well as the varying processing methods. Toby also worked with a coffee trading company which enabled him to hone his cupping and grading skills, not forgetting his work as a roaster and barista. 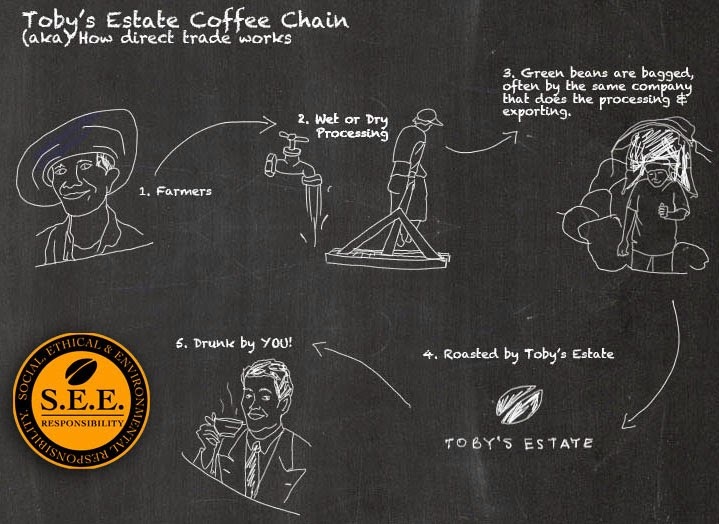 Proud about his campaign for environmental sustainability, Toby employs the following direct trade coffee supply chain. Having heard and read good reviews about Toby's Estate, we finally made ourselves available to head down for brunch. 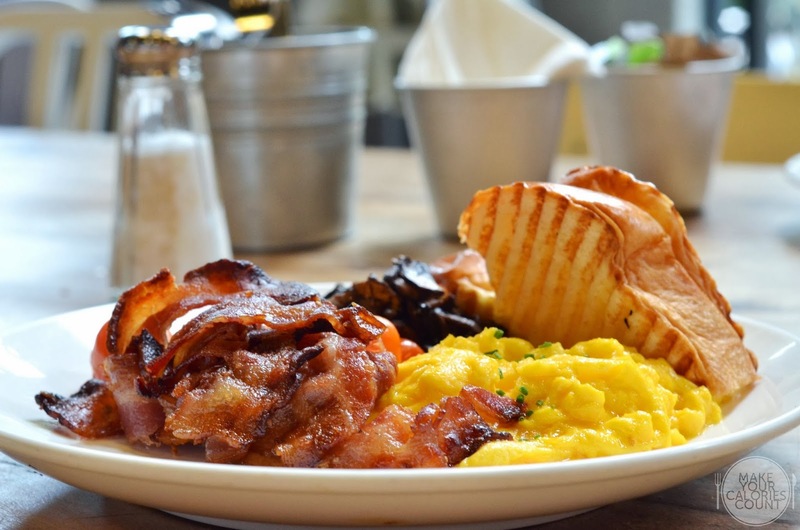 Priding itself for serving in-house roasted coffee, was it worth our calories? Read on! With a classic latte art, this flat white was a stellar when it comes to taste. 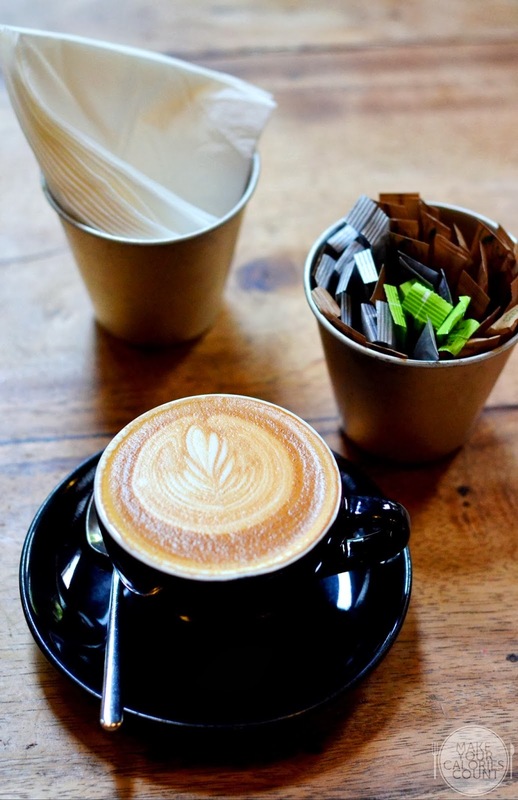 Developed by the Australians and New Zealanders in the 80s, flat white is prepared by pouring microfoam (steamed milk with small, fine bubbles) over a single/double shot espresso. It generally has a higher proportion of coffee to milk and typically offered in a smaller serving as compared to cappuccino or latte for instance. This was perfectly done and easily one of the best we have tried among the various cafes tried! The foam had a consistent velvety texture which overlaid a balanced shot of espresso that had the right levels of acidity and roast. The lady was in an adventurous mood and went for the iced mocha chai. The scent of the cardamom certainly titillated our senses and upon the first sip, the flavours beautifully imploded within. It was quite a bold drink and despite the various elements introduced to the drink, it was well-balanced. The flavours of the coffee and chai came across stronger than the chocolate though but overall, it was an enjoyable drink! 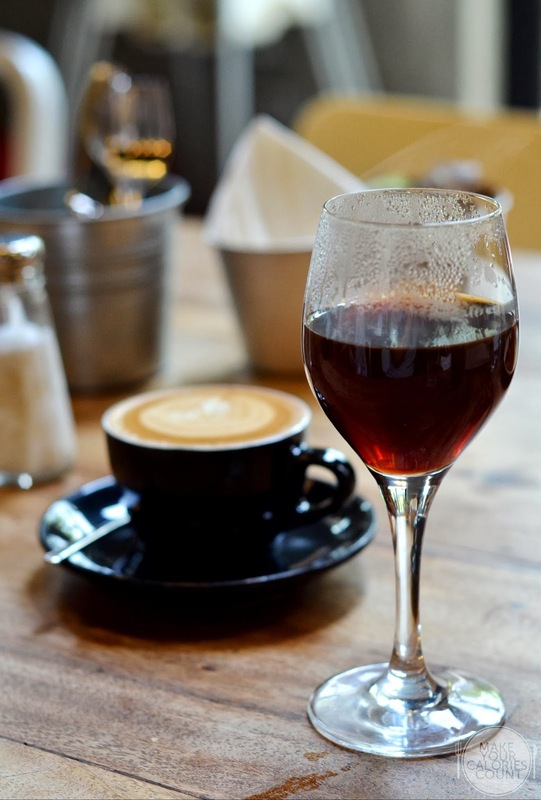 Elegantly served in a wine glass, this was one of the five special coffee on the 'Slowbar' section of the menu whereby each drink is manually prepared rather than via the espresso machine. 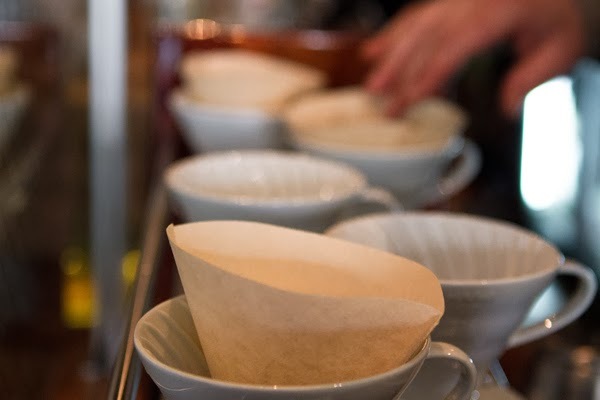 Different brewing methods would bring out varying levels of intensity for the light roast coffee beans and being a caffeine addict, I naturally went for the highest intensity, which involved the V60 brew. How does this ceramic dripper with a gaping hole in the bottom make good coffee? It is all about the right pouring technique which involves coaxing the extraction of solids from the grounds and this calls for a good steady pace of pouring and pattern. I generally prefer a dark roast as I enjoy my coffee bold but the flavours of this light roast were intricately extracted in that glass. Depending on individual, this rendition would suit the palate of those who crave for a higher level of acidity. It was sharp but not excessive which made it enjoyable. The barn-laid eggs were offered in either scrambled or poached form and we went for the former. 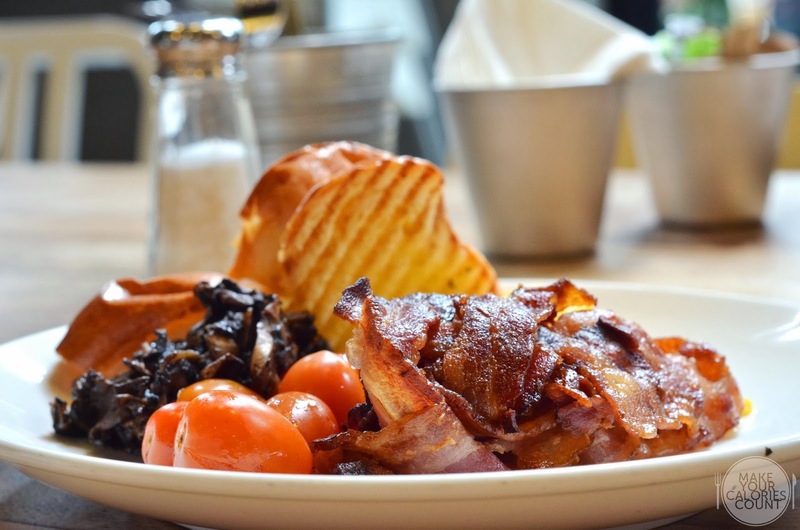 Served with espresso maple bacon, cherry tomatoes, sautéed mixed mushrooms and brioche toast, there was no denial that this brought a smile to everyone's faces! The scrambled eggs were velvety and carried a subtle scent of buttery fragrance though we would have preferred a slightly more intense flavour of the eggs itself. The brioche was perfectly toasted with beautiful grill-lines that imprinted the soft and fluffy bread. The diced mushrooms had a slight truffle scent which was a pleasant surprise. While we appreciated the generous portion of crisp bacon slices, we struggled to find resemblance in flavours to its espresso maple label. There was an interesting twist of sweetness to the savoury bacon with the maple syrup after taste but the punch of espresso was barely evident. 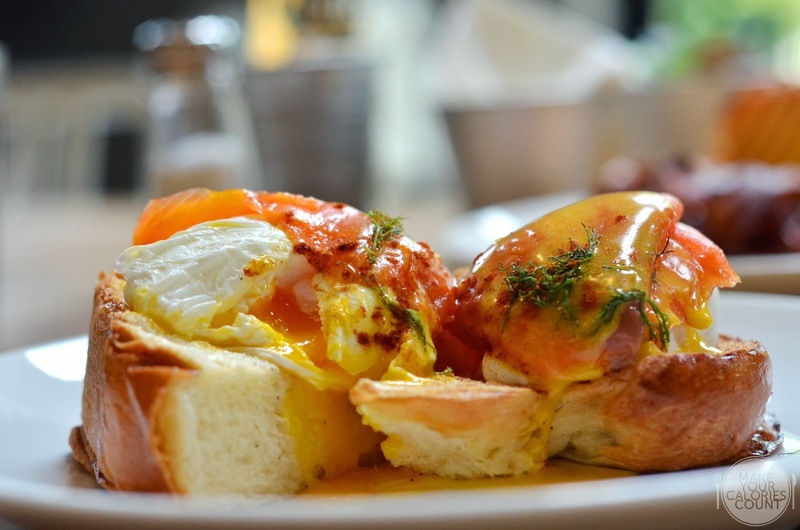 The eggs royale was a recommended dish and while we enjoyed the thick slabs of beautiful smoked salmon atop freshly toasted thick brioche, the poached eggs failed to impress. It was not a far cry from perfection but one of the two eggs served was slightly overcooked on the inside. 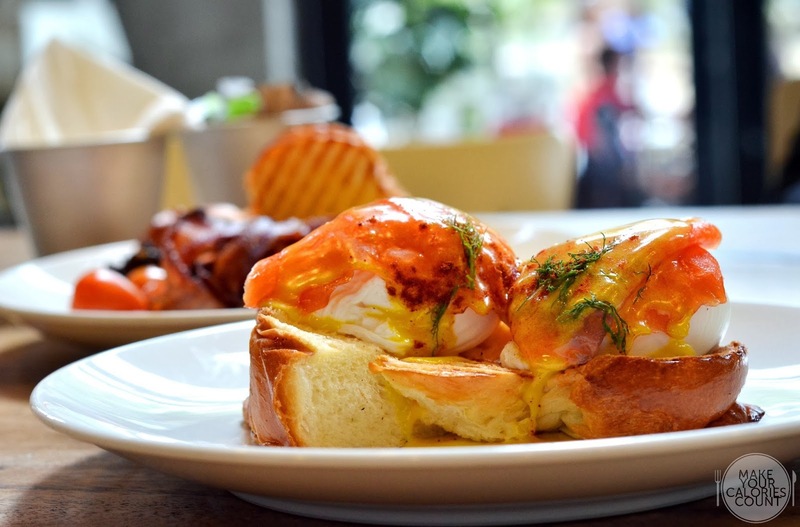 With a wedge of lemon on the side, it allows diners to adjust the desired level of acidity and tang in that classic Hollandaise sauce. Topping off the dish was that aromatic fresh dill which enhanced the flavours of the smoked salmon. 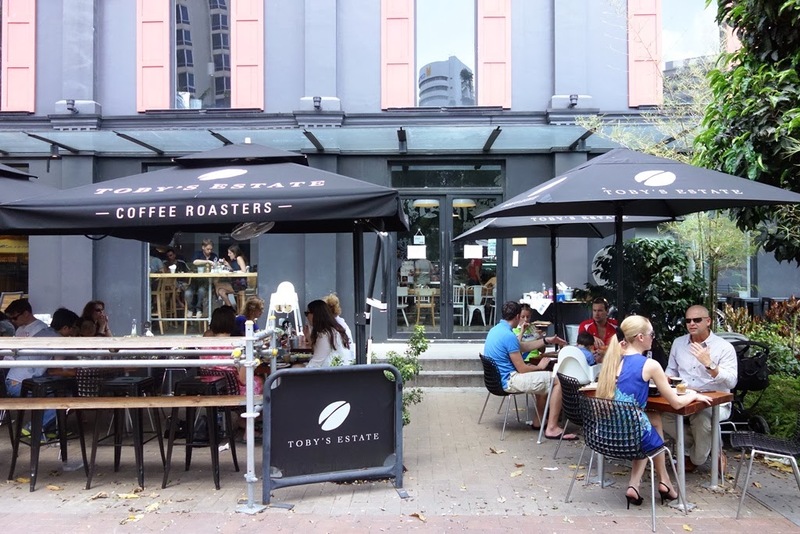 Offering both indoor and outdoor seating, Toby's Estate also provide complimentary Wi-Fi access to customers. It was common sight to spot expats working on their laptops and sipping their cup of fresh brew. All prices quoted on the menu were nett, inclusive of GST and no additional 10% service charge was levied either though tipping is encouraged! Upon settling at our table, we were immediately served two bottles of water which were complimentary as well and we weren't at any point in time pressured to place our orders. 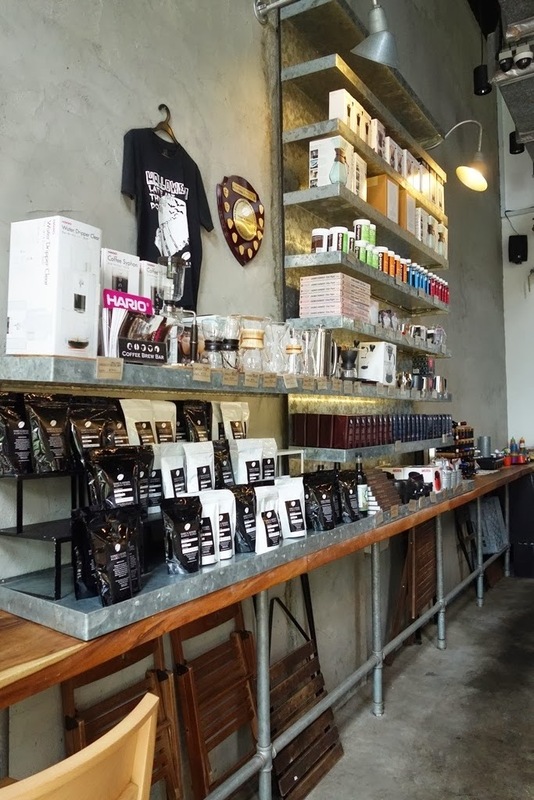 There was even a section on the side of the cafe that retails various merchandise such as brew apparatus and even a classic book written by the owner himself, complete with pictures and narration about his exploration journey in the name of coffee. 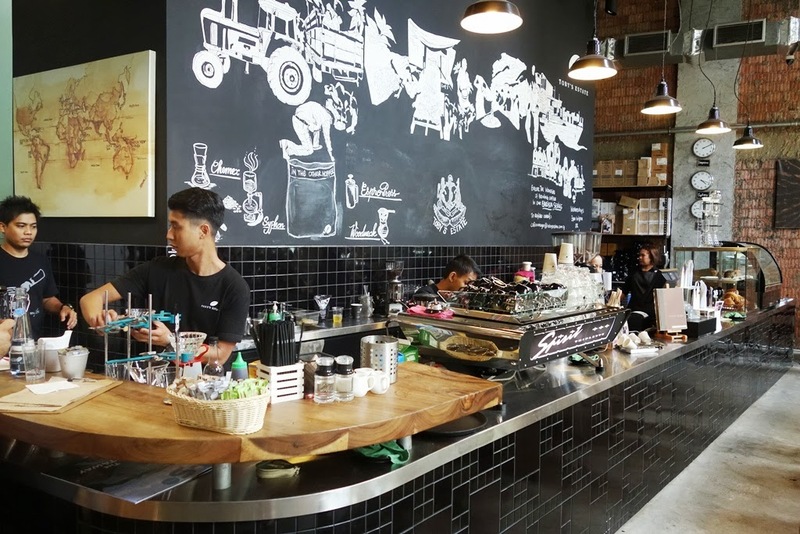 I am by no means a fan of cafes for I find that in most cases, the prices are not appropriately matched by the quality of food, coffee and ambience. A visit to Toby's Estate surely changed my opinion as it was a relaxing experience where I basked in the glory of the Sun through the windows, sipped my coffee and browsed through lifestyle magazines (provided at the counter) catching up to the nearest trend in town. Our first visit no doubt but surely not our last. Looking forward to my next visit already!